I finally received my iPad Mini with Retina display in the mail today. 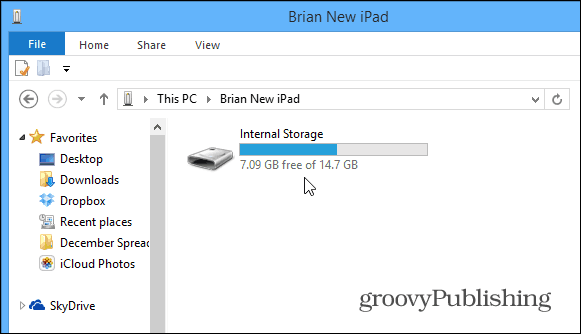 When I initially set it up, I restored a previous backup from my old iPad 3 – a backup from early January of this year. Well, I realized that I had a heck of a lot of apps and other data on it then, and I really would rather start fresh. 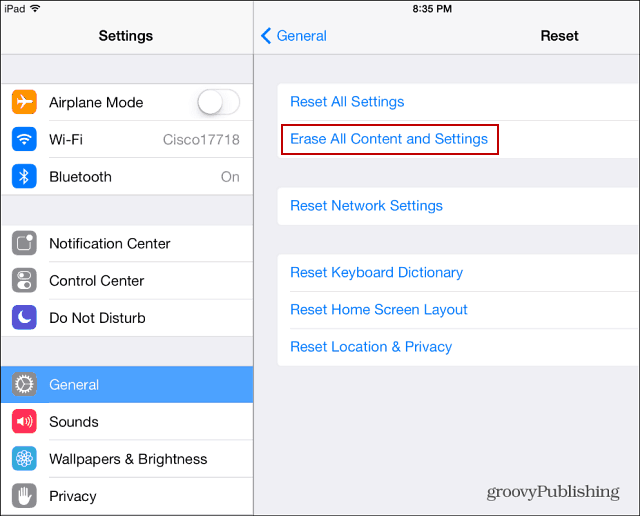 Whether you want to reset your iOS 7 device as a new one, are having hard to solve problems, or selling it, you’ll want to reset it to factory settings. While restoring a backup from an iPad running iOS 6 to one running iOS 7 is a relatively painless procedure, in the end I found a few caveats. The restore from my iPad 3 on iCloud took quite a while, and when it was done, I found apps and folder organizations that I don’t even want. We’re all guilty of that one, downloading an app or game, using it once, then never thinking about it again. Also, I have the standard 16GB model, and everything was just taking up too much space. Time to start over. Here I’m restoring an iPad Mini back to factor settings, but the process is virtually identical with other iDevices running iOS 7. First go to Settings > General > Reset. Then on the next screen you’ll have a few options to reset different aspects of the device. Since I want to start from scratch, select Erase All Content and Settings. 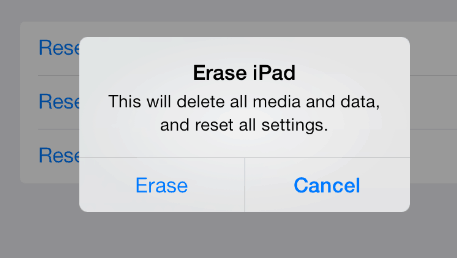 Next you’ll be prompted for your passcode, and a verification that you want to erase the device. In fact, you’ll be asked for your passcode twice. 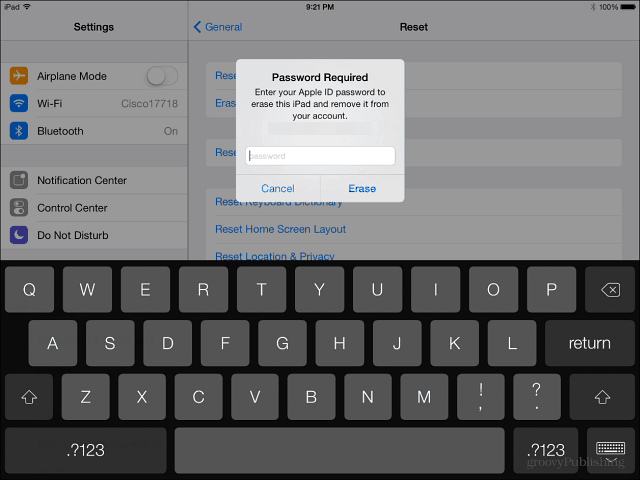 Then you’ll need to type in your Apple ID password. Obviously Apple wants you to be sure you’re serious about taking this action. It also adds a layer of security too. In case someone grabs your device and thinks it would be a good idea to erase everything. 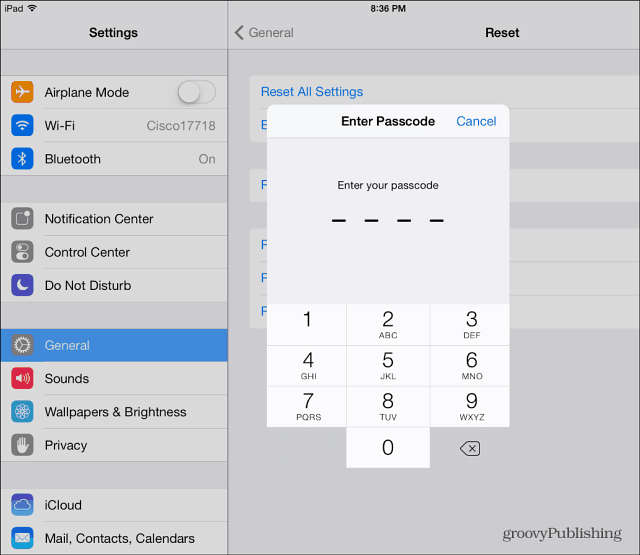 If they have your passcode, maybe they don’t have your Apple ID password. 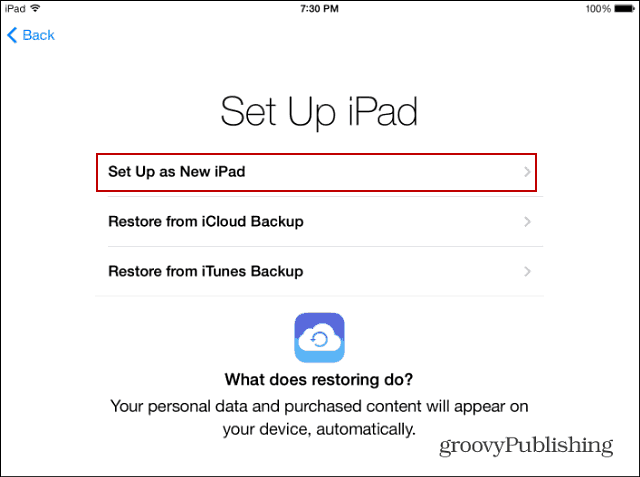 Your device will restart, and when it comes back, you’ll need to go through the initial set up again – language, location services, connect to WiFi…etc. 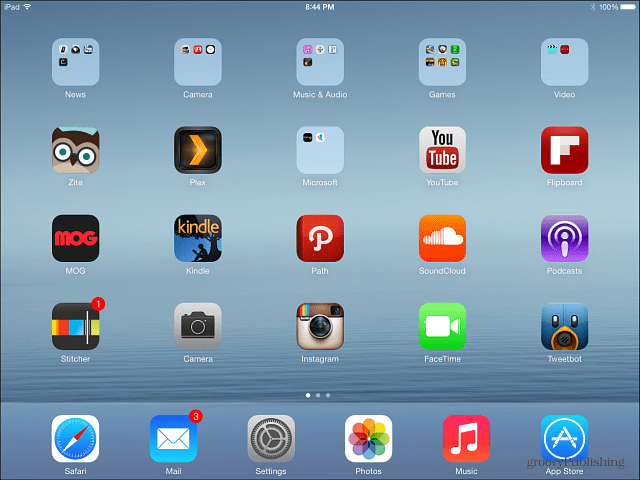 When you get to the initial set up screen, make sure you select to set it up as a New iPad or iPhone. 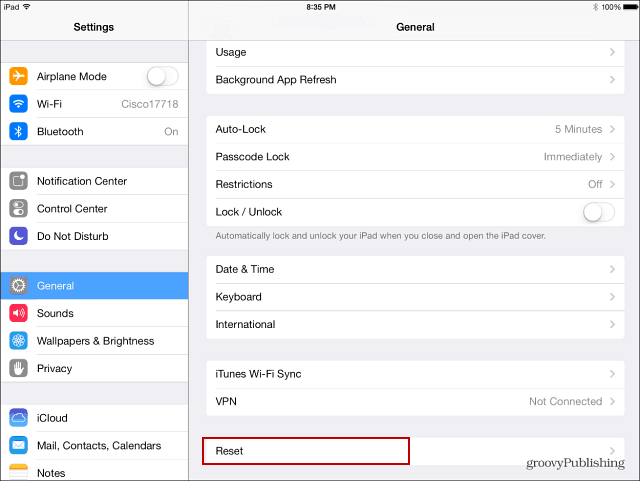 How to reset to factory on iPad mini with ios 8.1.2 without apple Id password.